Come see amazing art from artists from all over Colorado. Here is Emily Clingman's take on the "Craft and Customization" panel discussion Phillip participated in during Denver Design Week. 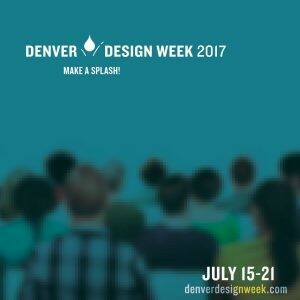 Phil will be participating in a panel discussion at Denver Design Week 2017! Short: By ignoring the lure of mass production and emphasizing the craft and authenticity of their handmade products, Denver’s professional maker-community has found their niche in the greater design and retail world. Long: How do Denver’s local makers and retailers survive and thrive in the face of the rapid rise of e-commerce and mass-production? This panel discussion will feature several prominent local makers, including an industrial designer, a furniture designer, and a fashion/accessory line that have found success in Denver by prioritizing craft and authenticity in their handmade products. These makers will speak to starting your own business, the Denver maker-community, as well as the role of craft and customization as it relates to their work and business model. Phillip participated in a workshop from the Public Interest Design Institute and presented by Design Corps and Metropolitan State University of Denver. Phillip has been selected to participate in the Arvada Center for Arts and Humanities' Art of the State: A Juried Exhibition of Colorado arvadacenter.org/galleries/art-of-the-s? Phillip has been awarded Colorado Art Ranch's "Terraphilia Residency" in beautiful Salida, Colorado, and will spend part of the summer making sculptural objects and installations inspired by the natural world. Colorado Art Ranch is offering its first Floatposia, a delightful adventure for the mind, body and spirit. Floating is fun, writing is fun, art is fun, science is fun; so why not put them together in one trip? We'll float the Green River for four days and take time to make art with words, rocks, sand, plants and ideas. We have three experts to help us in our play: nature writer Susan Tweit, sculptor Phil Mann, and paleobotanist Ian Miller. No experience necessary. Phillip will be showing in a two person show at The Dairy Center for the Arts (2590 Walnut Street, Boulder, CO 80302) from January 13th through February 17th. Opening Reception 1/13/12 with artists' talks from 4:00-5:00. The gallery opens at 5:00. Phillip's work can be seen in the new Tables book from Lark Books. See Phillip's article "Paving the Way" in the summer issue of Modern in Denver Magazine. Phillip will be showing new sculptural work at Walker Fine Art, 300 West 11th Ave #A, Denver, CO from February 11th to March 19th. Walker Fine Art homepage An opening reception will be held on February 11th from 6-8pm. The North American Sculpture exhibition makes its return to Foothills Art Center this summer after a four-year hiatus. Established in 1979, the exhibition boasts a roster of highly-acclaimed former jurors, including Donald Lipski, Alison Saar, and Manuel Neri. This year's jurors are Lawrence Argent, John McEnroe and FAC curator Michael Chavez. If you are going to the Botanic Gardens to see the Henry Moore installation, be sure to check out my work in this show. 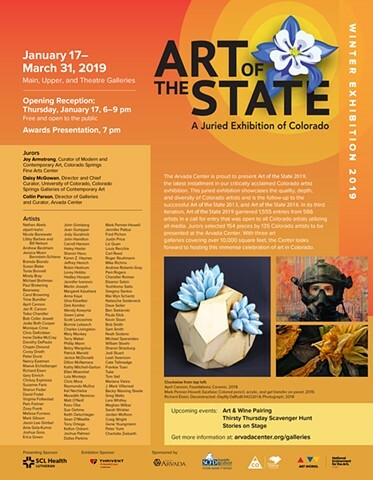 Phillip will be showing new work in this national exhibition of cast iron art which is sponsored by the Western Cast Iron Art Alliance (WCIAA) and the Missoula Art Museum. The opening will coincide with the WCIAA Conference – held in Missoula for the first time, May 6-11, 2010. The exhibition serves as a survey of the diverse national collection of artwork made in the medium of cast iron. Accepted works included in the exhibition will be featured in the Aresty Gallery May through August. The exhibition jurors included Stephen Glueckert, Curator of Exhibitions, Missoula Art Museum and David Lobdell, Professor of Art, New Mexico Highlands University. Both will be available to discuss the exhibition and selections on First Friday, May 7. Some of Phillips work will be featured in the book 500 Cabinets, from Lark Publications. The book was juried by John Grew Sheridan and is due out in the summer of 2010. Please join us for a selection of Phillip's recent work. This solo show is comprised of Phillip's new work dealing with narrative and ritual. This anthropological work is based on a short story that describes a post-apocalyptic period called the New Frontier. The pieces in the show are designed for the ritual and ceremonial use of fictional cultures that exist in the New Frontier. The opening for this show is Thursday April 30th from 6-9pm, Gallery 202x, 7 North Main Street, Providence, RI. Phillip was selected as a finalist in the student category, for a 2008 NICHE Award, celebrating excellence and motivation in American and Canadian craft. Phillip's "Lodore Canyon Table" has been selected to appear in a new book entitled "500 Tables", to be published by Lark Books in 2009. Phillip's piece "Clepsydra" was featured in the article, “The New Creative Generation” in the Italian art and design magazine, Made (Issue 05).